There’s always a great reason to visit Toronto, whether it’s a big event such as the June Jazz Festival, the Caribana in August or the Winterfest in February, or just because you’ve got a weekend free and want to see the city. While there are plenty of art galleries and museums to explore, and a real smorgasbord of different cuisines to sample in Toronto, if you’re looking to mix some adrenalin into your sightseeing, check out the suggestions below. 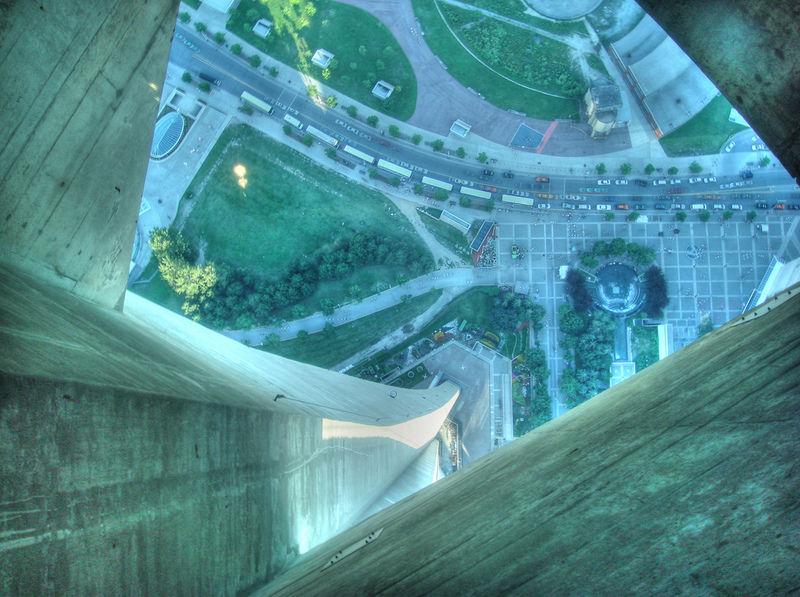 If you’ve got a head for heights, then one place you have to visit in Toronto is the CN Tower. This is an iconic Toronto landmark and often features in skyline images of the city. Building began in 1973 but the CN Tower was officially opened in 1976, so the building’s 40th anniversary was celebrated last year. In addition to the fun of going up a 553m building, you’ll get an awesome view of the city – and you can drink and dine up there too. The glass floor allows you to look below you; probably not advisable for anyone who is afraid of heights. However, if it’s real daredevil stuff you’re after, do the Edge Walk, where you get kitted up in a suit and attached to the tower by a harness as you do a walk around the circumference of the roof! No visit to the Toronto area would be complete without seeing one of nature’s most thrilling sights. 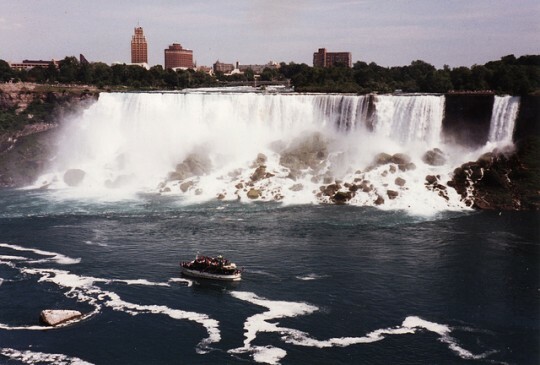 Niagara Falls is a must-see attraction on many visitors’ itineraries. While you can simply take in the view standing alongside the falls, there are different options if you want to get closer. 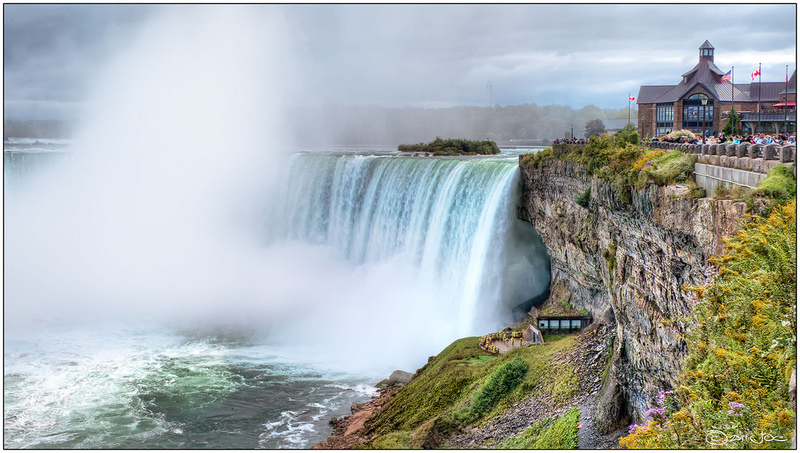 Take a helicopter ride for a different perspective or go on the Journey Behind the Falls, which involves an elevator ride down inside the rock behind the falls so that you can stand behind the rushing curtain of water. Alternatively, take a boat tour with Hornblower Cruises, possibly the best place to get a view of the nightly illuminations and fireworks. For a different kind of adrenalin rush, head into one of Canada’s most famous casinos – the Niagara Fallsview Casino Resort. Although this casino was only opened in 2004, it’s a building that has been part of the Niagara landscape since 1900s. The original building was a transformer station for the Ontario Power Company. Before you take a spot at the roulette and poker tables for real, it’s a good idea to get some practice in online first so that you know how to play or get up to speed with which variants have become more popular in recent years. 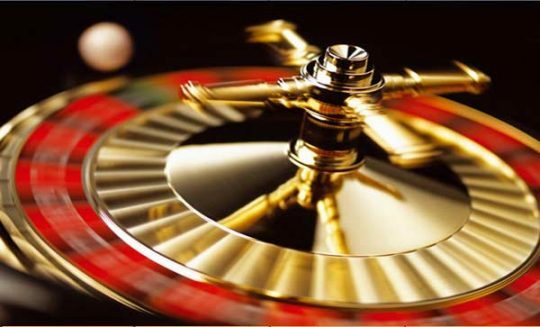 Newbies can check best casino games here and get detailed guides on how to play different games so that each bet you place will be an informed one. With a little online practice, you might make your evening in the Fallsview Casino more profitable as well as more fun. Outside of Toronto, thrills await at the Long Point Bay Zip Line Canopy Tour, where you can glide through the Carolinian forest on zip lines and take a tree-top adventure. After a short training session at the meeting point at Simcoe, you will get geared up for two and a half hours of fun in the trees. Your arboreal journey will include eight zip lines, two sky bridges, 14 platforms and a 40-ft rappel. Guides will also give you some interesting local knowledge about the ecological features of the area and its history. When you’ve had enough of “doing” and just want to be a spectator, there are plenty of options in Toronto. The city has a huge selection of live entertainment going on throughout the year, including theatre productions, classical, and pop concerts, comedy shows, ballet, and musicals. What’s on depends on when you visit, so it’s best to do a little forward planning and book before you go. Time in Toronto can be as action-packed and exciting as you want it to be; you just have to see how much fun you can squeeze into the time that you have there. Make Poutine Gravy Like a Canadian!